Heat oil and fry gol gappas. Keep them aside to cool. Stain curd through a soup strainer and mix some powdered sugar and salt to taste in it. Add some salt, red chili powder, jeera powder and chat masala in the mashed potatoes and mix well. 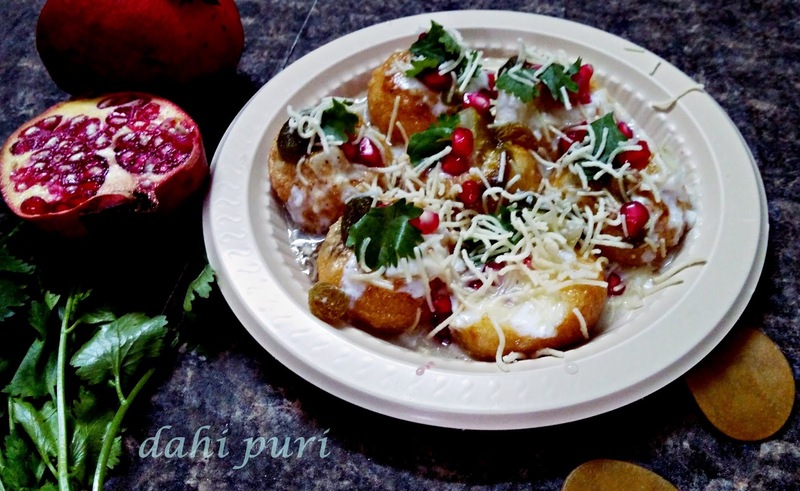 Break the gol gappa from the center and fill mashed potato mixtue,boiled chick peas,curd and both the chuttnies. Pour some more curd over the puries. Sprinkle some sev,pomegranate seeds and chopped coriander leaves and serve immediately.